Sadhbh Warren is a freelance writer and proud booklover. Her name is pronounced Sive - like five – an Irish name, easier to say than spell! She lives in Sydney, writing travel and humour articles, and is always on the lookout for a great new book. Lesley Jørgensen didn’t start writing with big ambitions, much less with the goal of picking up the CAL Scribe Fiction prize. Her entry, Cat & Fiddle, began life as the first piece that she had to write for her RMIT Novel 1 workshop. 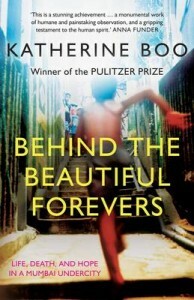 It grew into a humourous and touching multilayered portrayal of contemporary life, interracial love, and generational and cultural clashes, and picked up the 2011 award. 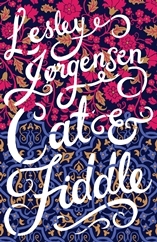 Cat & Fiddle explores the multicultural and generational culture clash in modern-day Britain when the lives of two very different families, the Muslim-Bangladeshi Choudhurys and the landed English Bournes, become entwined during the renovation of Bourne Abbey. Lesley’s own background is as diverse and fascinating as the cast of her novel; she’s trained as a registered nurse while also completing simultaneous arts and law degrees, and has worked as a medical-negligence lawyer in Australia and England. While in England, she married into a Muslim Anglo–Bangladeshi family. We caught up with her to ask a few questions about the book, and what tips she has for aspiring writers. What was the hardest part of writing? And the most enjoyable? I found the actual writing of it quite easy, and very enjoyable, particularly when I was also working as a lawyer. Full-time writing doesn’t suit me particularly: I just get fat and lazy. But ideas seem to germinate and develop very effectively in my unconscious while I am running a legal practice, so I usually find that lunch breaks and evenings are my most productive times to write. While I am lucky enough to have never found writing painful or difficult, the process of organising my writing into a coherent whole, to see it as a whole, and of having to cut my own work, very difficult indeed. I would be nowhere without the necessary slashing and burning of my petite but ruthless editor, Aviva Tuffield. I started with an image of a woman seen at a window, who is mistaken for a ghost, and who is in fact a ghost in her own life. I had no idea at the time as to where this image had come from, although with hindsight, it was very much how I thought of myself, in the last year of my marriage. In time, this character became Rohimun Choudhury and the rest ‘growed like Topsy’ with no particular plan or aim in mind. And when Mrs Begum and Doctor Choudhury came on the scene, they pretty much took over, and it was out of my hands from that point on. Everyone in the book is struggling to reconcile their cultural clashes; were you worried about tackling so many religious and cultural viewpoints? I think litigation lawyers deal every day with multiple truths and multiple points of view, all of which have some legitimacy. Every point of view has its own truth and its own validity and that was why Cat & Fiddle ended up as an ensemble piece, with nine major characters, rather than one or two. I wasn’t worried about tackling multiple viewpoints, rather that I wasn’t tackling enough of them. I still feel quite a yen for writing a couple of chapters dedicated to the remaining minor characters, such as Mrs Begum’s friend Mrs Darby and her Lydiard Women’s Institute intrigues, not to mention Doctor Chaudry’s nemesis Professor Bertha Beeton. As far as the religious and cultural differences go, they have always fascinated me, particularly where you have that tension between fairly extreme right-wing beliefs, such as fundamentalist Islam or born-again Christianity or cultish beliefs such as Scientology, and everyday life in a first-world Western society. The complicated manoeuvring and the multiple personas used by individuals trying to reconcile their adopted beliefs with their own lifestyle and their own needs, is impressive, moving and sometimes quite sad. The book contains a great many tantalising descriptions of food and drink, especially Mrs Begum’s cooking. 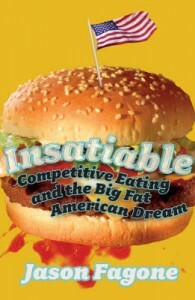 Is food and writing about it a passion of yours? I am so not a foodie. Brought up with bad British cooking, I can cook just about nothing, but eat just about anything which is very handy in extreme situations like school camps, backpacking in Eastern Europe and cooking for myself with no packets available. People who can cook well and even invent their own recipes seem to me a race apart and it is certainly one of the reasons that I have so much respect for Mrs Begum and anyone else who can do that kind of thing. What advice would you give to people who want to get their own novel from in their head to into print? Bum on the chair is always the absolute first rule: nothing can happen without that. There are people who just write, and do it all off their own bats: I am not one of them. I took the path of doing a well-recognised course which was taught, most importantly, by working writers rather than academics. Writers know what they’re talking about, and they will bring out the best in you. And if they have a paid job lecturing, they don’t have to live on beans while they write. I can fully recommend the RMIT Professional Writing and Editing course, which is heavy on the work-shopping (essential) and will also bring you friends for life and connections which may help you get published. 2013 has started and I’ve decided to make a resolution I can actually keep for a change, instead of committing to learn Arabic by audiobook over my headphones as I run an ultra-marathon in record time. This year I’ve made it easy on myself and resolved to do a lot more learning in my spare time, rather than sprawling on the sofa watching re-runs of Father Ted. Luckily for me this looks like being (another) great year for non-fiction and real-life reading with plenty of exciting new offerings in the publishing works. I’ve hunted down the non-fiction releases I am most excited about this month and, in no particular order, here they are. Jill Stark is an award-winning health reporter who has won awards for her coverage of binge-drinking. You’d expect her to be a moderate drinker if a drinker at all but it turned out she wasn’t just an expert on paper and at the age of 35, she decided to take a year off the grog. 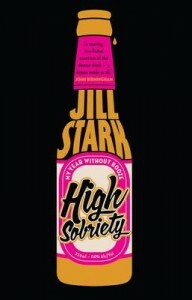 High Sobriety is both the story of her dry year and a discussion of the complex relationship that Australian culture has with booze, and I’m dying to get my mitts on it. If you’ve ever wondered if people see the world the way you do, cognitive scientist Alexandra Horowitz’s new book is bound to fascinate. Structured around a series of eleven walks the author takes with experts (including an urban sociologist, an artist, a physician, a child and a dog) to see the world as they perceive it. I won’t lie to you. I’d like to tell you this came to my attention as I am fascinated by canines, evolution and human/animal socialisation and this book on how wolves became dogs is sure to fascinate on all fronts. I could point out that dog expert Mark Derr has a good pedigree (sorry, couldn’t resist) in writing accessible and entertaining books about dogs. But the main reason I want it is the cover, because who can resist a dog in a faux-Viking helmet? Scandalands (maybe) No 1 – but was it worth it? The low-down on “Vile Kyle” has proved to be good reading material, reports News.com.au. His new biography, with its wonderfully pun-y title of Scandalands, has apparently hit the top of the non-fiction bestsellers’ list after just a week on the shelves. I ‘m a bit curious as to what bestseller’s list they are talking about as the Neilsen Bookscan has the recently released Guinness Book of Records in the no 1 spot and the article doesn’t mention what list they are referring too. The only quote from the bookselling end is an unnamed publishing source stating, “It’s a really good result” which could be a quote about anything from Scandalands‘s bestseller status to getting through reading it without hurling it at a wall. 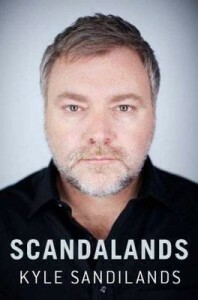 The biography of the self-described “most hated man in Australia” (even when it comes to coming last, it appears that Kyle Sandilands thinks he has to come first) sold 2,518 copies since it was released, which was reportedly enough to put him in at number one. Which seems to be a surprisingly reasonable number for a bestseller. So, if you fancy being a bestselling author, does this mean that all you have to do is pen a tell-all memoir guaranteed to peeve everyone you’ve ever met, so you can afford a solid-gold yacht from the advance? All the better to live on before the book comes out, when you’ll be able to sail away from your former friends. Sadly, almost definitely not. Don’t pick up your pen and get scribbling salaciously ala Sandialands because, as a recent piece in Crikey explains, you’ll be lucky to cover the cost of the lawyer’s fees with your advance. But for the less famous, that sum is likely to be considerably smaller. Non-fiction books normally gain a bigger advance than fiction , but it’s still not in the private yacht territory. 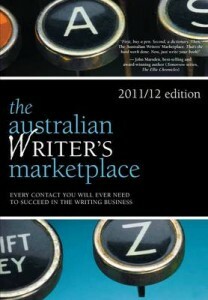 Fiona Inglis, managing director of literary agency Curtis Brown, explains in the same Crikey article: “I don’t think any publisher would pay a million bucks unless someone had sales of 250,00 copies every time they put pen to paper,” she said, calling a $100,000 advance “very healthy” for well-known Aussie writers. Perhaps losing friends and alienating your way to the top of the bestsellers’ list isn’t worth the money your will get. Unless, like Kyle, you done it already. J.K.Rowling’s new novel was released yesterday. But before you rush to the shops with the kids in tow, be warned; if you’re expecting a bedtime story or a little light reading, her latest novel may surprise you. Described as her “first novel for adults”, The Casual Vacancy is a complete departure from the world of wizards and the J.K.Rowling that readers have come to know. It’s a novel set determinedly in the real world, telling the story how an unexpected death and local election exposes secrets, lies and treachery in what is a seemingly idyllic English town. There’s little magic, friendship or magnificence in the new world she has created. Rowling’s not afraid to dirty her pen, whether it be words, thoughts or deeds she’s describing. She takes on drug addiction, poverty, abuse, assault and neglect through a host of characters less interested in redemption and nobility and more interested in getting their own fix. Allison Pearson, reviewing for The Daily Telegraph, describes it as “the Archers on amyl nitrate” and recommends hiding the book from any children. There’s certainly enough swearing in the book to justify withholding it from the kids: Sherryl Connelly of the New York Daily News quips, disappointedly, that “J.K. Rowling has gone from Potter to potty-mouth”. Many more reviewers have commented that it seems that Rowling was so eager to throw off the title of a children’s writer that she as gone too far in the opposite direction, penning a novel that will only be appreciated by adults interested in a dark dissection of human folly. But perhaps we shouldn’t be surprised that Rowling – who has spoken freely about her own struggles with depression, povery and suicidal thoughts – has more than a little darkness to get out of her system after several years of writing for an audience that demanded optimism. 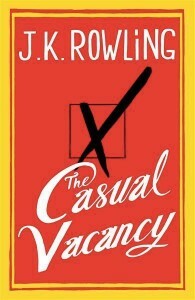 If you think The Casual Vacancy might not be a book for you, there’s no need to give up on Rowling as she said in a recent interview with the BBC that, while she is proud of her latest novel, the next book she works on will be for children. For the moment, if you’re looking for a little magic and escapism, The Casual Vacancy may not be the book for you. But if you are willing to keep the faith with Rowling’s writing skills and her knack for getting into her character’s heads (unlikeable as they may be), it could well be worthwhile putting Potter aside and letting her spin her new story. I love non-fiction and Neil Patrick Harris (in completely different ways, mind) but the announcement of his book deal has me less excited and more than a little confused about what, exactly, it is we will be reading. There’s little doubt that Neil has a golden touch when it comes picking and producing his projects; from rocking the audiences’ socks off in musicals such as Joss Whedon’s Dr. Horrible’s Sing-Along Blog to cameos in the recent Muppet Movie, as well as his Emmy-nominated role as Barney Stinson in CBS sit-com How I Met Your Mother. 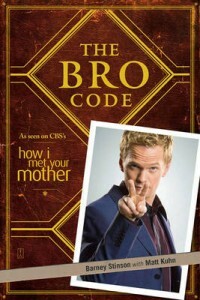 And, while you won’t find his name on any other books, this isn’t his first publishing credit, also credited as the co-author (under his character’s name) of The Bro Code. So, while the press release may be alarmingly vague, we can hope that the end product will be offbeat and entertaining even if the phrase “interactive, nonlinear reading experience” makes it sound like a code for “couldn’t think of a plot or theme so put in dot-to-dot puzzles”. What do you think – does it sound like wonderful whimsy, edgy-experimentalism or just indulgent idiocy? Will you be standing in line to buy it? Crown Archetype, who are part of the Random House, Inc publishing group, say that publication is set for 2014, so I guess we’ll all have to wait until then to find out. Since first being published in 1955, the Guinness World Records book has sold over 120 million copies to date in over 100 countries, but it’s not resting on its laurels. The newly-released 2013 edition comes packed with 3D technology, info-graphics and over 3,000 mind-blowing records; ranging from the amazing (oldest couple to run a marathon, at 83 and 78); to the costly (most expensive toilet, Nasa’s Endeavour, $23.4 million); to the downright weird (most watermelons smashed with a head in one minute). Browsing my friends’ bookshelves is always interesting but the books I love to get into (in more ways than one) are their baking books. Not every house has some but when I do come across a home with a well-stocked dessert-bookshelf, I can spend hours browsing and lingering over the lush photography. Puddings and cheesecakes and fruit tarts – oh my. My love of baking books strikes my friends as strange because I own so few myself and I am a really terrible baker. Last week I tried to get my Nigella on and make brownies. I succeeded in making brown, far too much brown, great tracts of it that crawled out of the pan and attempted to envelope the wire rack like an Alien facehugger with chocolate chips. What remained in the pan completely lacked in the delicious gooey interior that makes a brownie so enjoyable and instead had a texture reminiscent of foam mattress. It did not, it must be said, look like the brownie in the book. Nothing I bake ever does, because I am terrible at following instructions. Some people would have measured the ingredients and not substituted on an ad-hoc basis. Others might have looked at the timing and directions. Nigella, they would have reasoned, is an excellent cook and if, like me, you generally make cakes suitable for use as ballast perhaps actually following her directions would be a better plan than ignoring the book completely. Me, I figured it would be fine once we beaten the gloop into submission, cleaned up the worst of the over-flowing tentacles, and added a little cream and chocolate shavings. And it was. 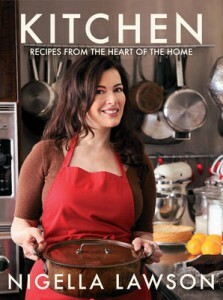 I have plenty of regular cooking books, and can make a great meal. Savoury food is simple to improvise but I invariably ruin the more structured sugary sweet treats I attempt. Sponges, flans, pastry, pastries; you name it, I have mutilated it. I am a terrible baker and this is probably no bad thing. The main problem with baking is the fact that, after you have done it, you have lots of baked goods available to eat. Sitting there. Tempting you. Demanding to be eaten and situating themselves lasciviously right next to the salted caramel sauce and big bottle of Baileys with a “come hither” expression on their steaming sugary surface. There’s a reason they call them tarts, people. I like friends with baking books, and I treasure my friends that do bake. I can only hope that they also welcome my enthusiastic advances on their cooking and admire my ability to enthusiastically munch my way through every mouthful they offer me, and then some. Because one bite of a sweet thing is never enough for me. You can have your cake and eat it, but you’d genuinely prefer a nice piece of fresh fruit and a game of tennis. I would salute your temperance but I am too busy being filled with hate. And food. All the wonderful tasty delicious food. Many of my friends are brilliant bakers with a cook-book collection to match. Browsing their shelves I find treats galore to tempt me. Cheesecakes. Sponges and flans. Tiny wonderful fat-filled enlardenating pastries. Wonderful brownie books and books on decorating. Cake pops, because normal cake just wasn’t fattening enough – they had to come up with a way to make it even more delicious and bad for you. For me to have those books and be capable of making the contents correctly would be an invitation to non-stop baking madness and an additional 20 kilos or so to settle on my waistline overnight. I already have a deliciously-fattening craft beer habit, a penchant for Thai food and a slightly disturbing fixation on spectacularly smelly cheeses. I don’t need to another monkey – or a sticky-sweet baked gorilla – on my back. I’ll leave the baking books on my friends’ kitchen shelves. And just try to be in the neighbourhood when they decide to give them a go. It’s a departure from my normal non-fiction areas but I have recently been devouring dieting and exercise books. There was a few factors to me picking out these books, from some interesting new releases to my new hobby of running, but I will cheerfully admit my main motivation was superficial – I wanted to look nice when I walked down the aisle (well, sand). For those of you who also prefer to keep your Glad Wrap for cookery but would also like to get a better handle on your eating habits, I recommend the first of my picks, the Beck Diet Solution. Cabbage soup. Banning carbs. Super foods, celebrity endorsements and expensive supplements. The Beck Diet Solution instantly endeared itself to me by recommending none of these things. Instead its author, cognitive therapist Dr. Judith S. Beck, has written a six-week program that applies Cognitive Therapy to dieting and weight loss: teaching readers how to think differently, change eating behavior, and lose weight permanently. The result, she claims, is that the book teaches the skills needed to get off the yo-yo diet circuit, and to diet successfully and to keep the weight off permanently. It’s a psychological program, not a food plan, and can be used with any other sensible diet program, such as the CSIRO Wellbeing Diet. The program requires a regular daily commitment but it’s short on the gimmicks and big on long-term changes and is certainly easier to apply in real life than most of the diet books out there. Also on the sensible side, and with no mention of cling-wrapping your bottom whatsover, is Dr Carmel Harrington’s The Sleep Diet, which was just released in August. 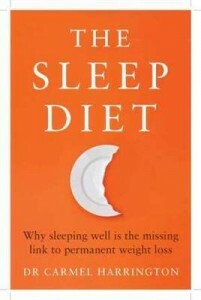 Subtitled why sleeping well is the missing link to permanent weight loss, it’s not exactly subtle about advocating sleep, good sleep and plenty of it, to keep hormones that cause hunger down and your metabolism ticking over nicely. Dr Harrington argues that we are sleeping far less than previous generations, that sleep and weight are fundamentally connected and that the depth and effect of this connection is only now being discovered. The Sleep Diet explores the science, presents the research, and provides simple rules for improving your health – and weight – by getting more sleep. While weight loss is a focus, the book also includes a DIY sleep program which will benefit people who have no issues with their waistline but lots of issues with their sleeping patterns or with people trying to disrupt their sleep. The book states clearly says that in order to lose weight, I need to stay in bed longer. Finally science has justified my Snooze Button habit. If I was to decide to follow the example of my third pick, Running Crazy, though, I’ll need to set my alarm gruelingly early. Running Crazy explores the world of the 100 Marathon Club, also known as the Hell’s Angels of Running. This club has only one prerequisite for membership but it’s a biggie – every member has completed over 100 marathons. Many have completed over 200. And some, some have managed 500, 700, 800 marathons. That’s almost 34,000 kilometres, or Sydney to London – and back. Why? Well, that’s what the book explores and how these runners find the time and energy to accomplish monthly – or in some cases, near weekly – what most people have to train for a months or years to manage. And their enthusiasm is infectious – whether you have a marathon already under your belt or, like me, you’re still proud of your 5km, it’s hard not to read the book without a tiny voice at the back of your mind saying, “I could do that”. I have to admit, I’m still unlikely to actually decide to punish myself with a marathon run let alone 100 of them, but it’s hard to wiggle out of a quick 5km run when you have read about people who routinely run a marathon a month. And at least getting out and running means I am less likely to need a few extra rolls of Glad Wrap come summer. I love to fly, but I very rarely enjoy reading books about flying, especially while in an airplane: all too often they involve words like “plummet”, “screaming”, “disaster” and “splatted”. Nothing like reading a sentence that combines all four of those and then spending a few tense hours at several thousand feet staring out the windows trying to work out if the wing normally wobbles that much. Books that should never appear in airport booksellers (that I have actually see stocked) include all the various “air crash investigations” series, any of the 4 books I have seen with “air disaster” in their title and – of course – Alive, the infamous story of 16 blokes crashed in the Andes eating the unthinkable, which will not only put you off flying but right off your inflight meal. I deally in-flight books should be diverting enough to distract you from the plane, not remind you you’re on one. 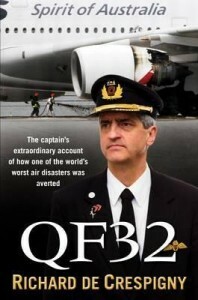 So you would imagine that reading Qf32: The Captain’s Extraordinary Account Of How One Of The World’s Worst Air Disasters Was Averted by Qantas pilot Richard De Crespigny would be right out. But as near-disaster stories go, it’s a very reassuring one, and this is down in no small measure to the calm and clear explanations of what does happen onboard when things start to go badly wrong. And Richard should know. He was the captain on what should have been a routine long-haul flight from Singapore to Sydney, piloting one of Qantas’s new A380 aircraft. It should have been a routine flight but shortly after leaving Changi Airport, an explosion shattered engine 2, sending hundreds of pieces of shrapnel ripping through the wing and fuselage, and creating chaos as vital flight systems and back-ups were damaged or destroyed. The flight, with nearly 500 people on board, had the potential to be one of history’s worst aviation disasters. Some advance reports even stated that the plane had crashed but the experienced flight crew, led by De Crespigny, managed to land and safely disembark their passengers after hours of nerve-wracking effort. The book doesn’t just shed light on what happened on that flight. It follows Richard’s life and career, from his time with the RAAF through over 20 years and Qantas, and explains the skills and training of a top-level airline pilot. Richard clearly loves to fly and is confident in the air, but he’s sympathetic to those of us who aren’t, as he explained in an interview with Escape’s Doc Holiday. I have and will always be sympathetic to nervous flyers; this is why the QF32 crew behaved the way they did, informing and debriefing the passengers. I can’t emphasise enough that the crew have extraordinary skills and are trained to look after you in the case of an emergency. Whatever the emergency, the pilots and crew in the good airlines have been trained for every contingency and you are in the best hands! They know what they are doing. They have been trained, they are knowledgeable and they will not panic. And is he confident that training is backed up by safe planes? When should we be staring out the window at the wobbling wing and wondering. Aboard the top world airlines: never. You are safer in the aircraft than you were driving to the airport. So, thanks to this book, from here on in I’ll feel a little calmer in the air. Instead, I’ll be worrying while in the car Anyone got any recommended reading for when I’m not driving? Ouch. It’s a trivial thing but I always feel bad when someone doesn’t like a book I gave them, especially if I thought that they were a dead-cert to click with it. First comes denial – “Are you sure you are reading the right book?” That’s usually followed by the urge to defend the book (“Have you read the bit with the zombie space monkey butlers? Like, really read it? Twice?”), followed by the sheepish realisation that I got my friend’s reading taste completely wrong and probably wasted several hours of their time and they’d like me to stop going on about it now, please. I’ll admit to a touch of neurosis on this one but I think most people would agree that when you recommend something, you really hope that people will like it and it can be disappointing when they don’t. So choosing the next read for a book club meet is particularly fraught with difficulty. If you gift a book to a friend and they are not a fan, at least you only have to have that awkward conversation once and quickly. If you recommend completely the wrong book for your book club, you’ve not only forced ten people to sit through something they hated but now you have to talk about it. For about two hours. With snacks. So, the second rule of book club has got to be that you need to pick a good book. But what makes a good book? Clearly this – along with deciding the rules of a book club generally – is a contentious subject. People have plenty to say. Googling “book club rules” brings up 148,000,000 results (whereas Man Booker Prize brings up just 1,830,000 results). Adding “Oprah” to that search string gets you about 17,100,000 results, so it looks like one in eight people discussing book clubs on the internet is talking about Oprah’s take on it (and for every eight Oprah fans, there is one person discussing the Man Booker Prize). I have to admit, I’m skeptical. There are two there – Pillars of the Earth and East of Eden – that I very much enjoyed (although Pillars is really just a soap opera in medieval cathedral form). There’s another few I would like to read. But there’s at least 3 that if someone gave me as book club read would have me setting the zombie space monkey butlers on them. I won’t name names for all the ones I find less than inspiring, other than saying the person who gave me Eckhart Tolle’s The Power of Now is still picking virtual poop from their hair. But what do you think? Are these the sort of books you want to read? What would be your ideal book club pick? Is this list a good one or would you rather read about the zombie space monkey butlers? Jennifer Miller’s novel, The Year of the Gadfly, is a hard to pin down. With a teenage protagonist who chats with the chain-smoking ghost of Edward R. Murrow, prep-school rules and secret societies, love stories and mysteries, and asides into extreme micro-biology and the personal and public ethics of journalism, it’s an unusual read. The Year of the Gadfly will be released on the 23rd of May. As winter draws in and the evenings get colder I find cooking more alluring. 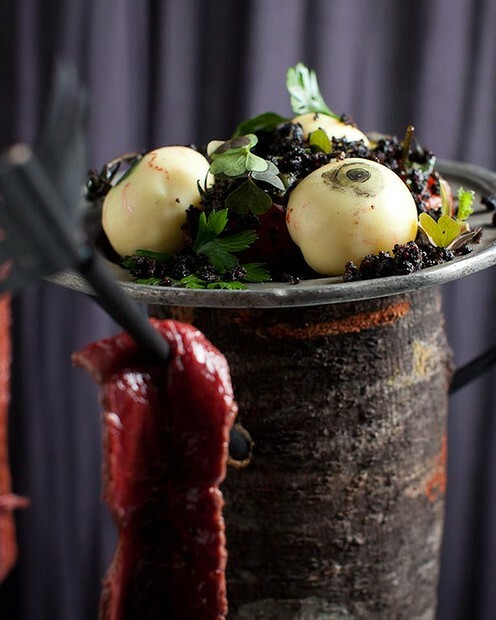 Slaving over a hot stove – so very unappealing in Sydney’s sticky-hot summers – becomes much more enticing as a way both to keep warm and to get a good meal in. And, having just discovered the farmer’s markets up the road, I’ve decided to try my hand at making the best of the autumn harvest produce. Unfortunately I’m not really sure what naturally peaks down under in the Autumn (Easter eggs?) so I’ve picked up a copy of Belinda Jeffery’s Country Cookbook to inform me and inspire me on how to whip up that seasonal fruit and veg. Before you think I have gone all Nigella on you, I have to admit that I have being taking inspiration from the sumptuous pictures (if Belinda decides to stop cooking, she’ll easily be able to make a living as a photographer) and the suggested monthly highlighted produce more than whipping up a 3 course dinner to spec nightly. Much like fashion trends, cookery tends to work better for me as a concept than in actual practice, especially baking – I did once, accidentally, managed to make a pretty convincing replica of the Discworld’s dwarven battle muffins. But while some of the recipes will certainly suit those with sweet teeth, it’s also inspired me to whip up more than a few stews, soups and casseroles from scratch, which has to be a little healthier than my normal method if warming myself through the winter with hot ports and chocolate. Keeping with the theme of eating plenty of good food and living well, Good Health in the 21st Century by Carole Hungerford has also been prodding me to overhaul a diet that had become a bit over-reliant on grabbing pre-prepared and fast food. Carole is a family doctor and in this book she applies her years of learning and practise to give readers her perspective on how we can stay healthier for longer. We’re always interested in their opinions as soon as we become ill but doctors don’t get to interact much with what is the ideal outcome of their profession – healthy people. It pretty much boils down to one simple point – eat better food, and more variety of it. The book meld recent studies and research on diet and nutrition with a no-nonsense approach to getting your hands on it easily through eating well and heartily. An organic apple a day is unlikely, by itself, to keep the doctor away but Dr Hungerford suggests that diet rich in the minerals, vitamins, and essential fatty acids that normally occur in a wide-ranging diet will do a lot of work needed to keep us out of the doctor’s waiting room and in good health. She addresses subjects including asthma, arthritis, cancer, cardiovascular disease, and mental health and neurological disorders, and – while I am not suggesting that every single thing in it is correct as I am, of course, not a doctor – it’s an engaging read that provides a good prod to those of us with good intentions regarding food often ruined by having the local takeaway on speed-dial. Speaking of good health and a long life, I’ve also been enjoying Joanna Lumley’s photo-scrapbook and memoir, Absolutely. 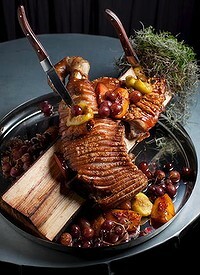 Much like Country Cookbook, Absolutely is a visual feast of photographs as well as words. Joanna describers herself as a hoarder of all things personal and memorabilia and thanks to this habit she has pictures of her family and herself in her every incarnation, from growing up in Kashmir and Kent, to her time as a model in the Swinging Sixties and her many memorable roles. She’s been a Bond girl, fought crime as Purdey in the New Avengers and, along with Jennifer Saunders, re-defined the phrase sweetie-darling as the unforgettable Patsy Stone, and looked absolutely fabulous throughout. While it’s tempting to just flick through the pictures, it would be a shame to miss the linking text; Joanna’s writing is – much like her – stylish, welcoming, whimsical and possessed of a self-deprecatory sense of humour and perspective normally absent in celebrity memoirs. I’d quite like to be Joanna Lumley when I grow up, although I occasionally worry with my current diet and hobbies, I am more likely to end up resembling Patsy Stone. Well, whatever of the healthy eating and sylph-like figures at least we have the hoarding in common – I bet she can’t throw out books either. It’s Friday night and you know what that means – it’s book club night! Well, book and wine club. As I discovered last time, the first rule of book club is that you are totally allowed to talk about book club, provided you bring some wine. So while I might not be donning a micro-mini and stilettos and painting the town red this Friday night, I can assure you there will be enough drinking, carousing and lively debate committed while wiggling a wine glass for emphasis to ensure we start the weekend in proper order. I have actually done my homework too. I have to admit, I nearly faked reading this month’s pick, Margaret Atwood’s The Blind Assassin. It’s not that I didn’t like the sound of it; I do like Atwood‘s writing and had read this book a few years ago. But when I went to find my copy in the labyrinthine depths of my amazingly over-stuffed book shelves I discovered, much to my annoyance, that it must have been lost in one of my moves. Well, that or my books have turned cannibal. I figured I’d probably get away without reading it – I mean, in order to have it go missing from my shelves, I must have read it after I moved to Australia. So that means it has to have happened in the last six years and even my memory isn’t that useless. I figured I could just read a synopsis to refresh my memory a bit. No worries. …I have no idea what the hell this book is about. Darn. I’m going to need to re-read the whole thing. Attempting to cram my brain with culture has been reasonably successful – I know the plot! Ish! – but a large part of me mourns the fact that I couldn’t get stuck into my copy of World War Z, which has been burning a hole in my ereader for 2 weeks now. I hope the rest of book club appreciate my last-minute efforts more than my lecturers did. At least with the book club I’m actually allowed to bribe them with wine if they don’t. With a house move imminent it has become apparent that I own far too many books. Normally I can hide the overflow with a little creativity. Packing the shelves so there is two rows of books, not one, and more on top if there’s space ? Normal practice here at Casa De Libros. Persuading myself that a stack of books on the coffee table is not a mess but vital room ornamentation? Of course. Stashing books in wardrobes, spare bags and occasionally, when desperate, the bathroom cabinet? Well, let’s just say you’ll never find yourself caught short of a read in our house, even if you are caught short in other ways. Even my ereader offers no respite. The darn thing is stuffed to its electronic gills with books I haven’t read yet. And the massive piles of books doesn’t deter me from getting out there and buying more. Sometimes I’ll come home and want to curl up with a book, and I’ll find I’ve nothing there I want to read. To paraphrase Bruce Springsteen, it is possible to have 57 bookshelves and nothing on. And the obvious solution to that? More books? It wouldn’t be too bad if I would just get rid of them after I read them, but I part with my books with about as much enthusiasm as Clive Parker pays Carbon Tax, even if they weren’t actually any good. I just don’t know when to junk in a bad read, let the book go and get it the hell out of my house. I have a big pile of “to finish someday” books that has been teetering on the bookcase so long the base ones are becoming fossil fuels, and I still balk at getting rid of them. No matter how battered, how biased, how badly written and fundamentally unlovable a book, I find myself loathe to just throw it out. I feel little better about giving them away; I could donate it to hospital, but feel guilty at the idea of inflicting some of these travesties on people who are already suffering. If they’re lying there in bed unable to get the strength up to throw the offending tomes at the wall, does donating books count as a decent act or are you actively torturing people? Of course, not all these books are actually bad books, some are just books that I didn’t like. The long, long list of books I didn’t enjoy reading includes The Great Gatsby, Lord of the Rings and over half of any 100 best books of all time lists, so I’m not setting myself up as an authority on what good writing is. 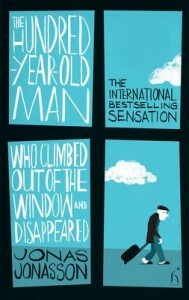 I own plenty of books that – while not my particular cup of tea – I can certainly see other people enjoying. Wolf Hall, the winner of the 2009 Man Booker Prize and the 2010 Boring Sadhbh to Bits Award, is still lurking on my shelves but I can think of a few people who’d probably adore it. Same for several biographies and countless fantasy books. Well, at least with the house move I have a cast-iron excuse to deflect this conversation. It’s not that I didn’t enjoy the book, it’s that we don’t have enough space in the new place. If that fails, I’m not sure what the answer is. Possibly more bookcases. Or perhaps I should finally give in, and move into a library. Yesterday we published part 1 of our interview with Elizabeth Haynes, whose debut novel Into the Darkest Corner deals with domestic abuse, obsession and OCD, and she discussed writing crime and suspense fiction. Today we have her hard-won advice for other writers starting out. It wasn’t her first time trying to get into the head of a character with different views; In The Darkest Corner’s main character, Catherine, suffers from Obsessive Compulsive Disorder (OCD) brought on by trauma. Elizabeth not only had to understand OCD but write about it in a way that made a reader understand it too. 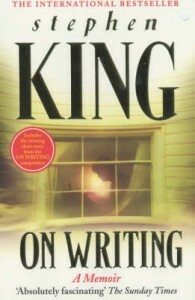 Elizabeth Haynes’s suspense-filled debut novel, Into the Darkest Corner, was penned as part of National Novel Writing Month (NaNoWriMo) in 2008. Just three years on, it sits on Amazon’s 10 Best UK Books of 2011 (alongside George RR Martin’s Dance with Dragons and Steve Jobs’s biography) and her second book, Revenge of the Tide, has just hit the shelves. In this, the first of a two-part blog, we ask her about writing about and working with crime, and where she got the inspiration for her first published novel. You can visit Elizabeth’s website here. Due to her generosity in taking the time to answer all our questions on suspense writing, this will be a two part blog. In tomorrow’s blog, we ask her hard-won advice for other writers starting out. This month my reading has been all about training dogs or children. Training one requires patience and kindness to build confidence, the other dominance, stern punishment and endless rote learning administered by a stern task-master. And probably not for the ones you think either. The stern approach, of course, is for the kids. Earlier in the month I picked up Amy Chua’s controversial Battle Hymn of The Tiger Mother, a memoir of one family’s experience of using a disciplinarian style of parenting that Chua calls “Chinese parenting”. It offers a very different perspective on child-rearing and building confidence. The book-jacket quotes say Battle Hymn is humourous and sparky, and it is, but it wasn’t the kind quotes on the cover that propelled this book to New York Times best-sellers top ten but other, less favourable quotes. Readers and reviewers called her a an inhuman mother and a menace to society, and her nickname quickly become Mama Grisly. I read this book occasionally gaping in horror at her methods and, frankly, if she had been my mother I suspect I would have run away from home. But with one of her own children taking to the papers (and the book’s afterword) to thank her mother for a life lived at 110%, her training methods does seem to have some advocates. 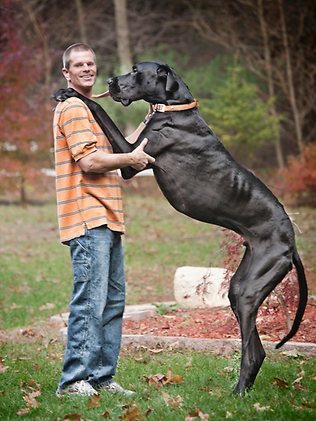 Why dog-training? Well, I’m hoping to get a dog in the next few months and I’m not sure my vague memories of my twelve-year old self teaching our smart but neurotic border collie how to high-five will be up to scratch when confronted with a new puppy. Lacking the severe nature needed to raise anything with Chua’s method, I’ve been reading up on clicker training, dog psychology and – I admit it – how to train a dog to get your book from the bed-side locker. Don’t judge me. It’s a useful skill. Not actually a training book, but coming under the category of interesting application of real-life skills, comes this story from England – forensic detectives rescue writer’s manuscript. Trish Vickers lost her eyesight to diabetes seven years ago but continues to write long-hand in pen. Her son Simon comes over once a week to read her work back to her and help her revise but, during one visit last year, Simon found 26 blank pages instead of the latest installment – her pen had run out. Rescue came from an unlikely quarter – the Dorset police fingerprints’ section. They took the manuscript and, working in their spare time, used various methods to track the indentations made by the pen and thus reveal the text. Apart from one line, they managed to recover the lot. 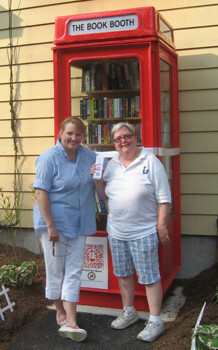 And they didn’t just rescue her writing, the police also gave her book a thumbs-up, as Trish was delighted to report. “The police also said they enjoyed the bit they read and can’t wait for the rest.” She has promised them that from here on in she will double-check her pens are full of ink so they can definitely enjoy the story when it’s done. Which shows that whether you are training a child, a dog, or even an aspiring writer, a few kind words can go a long way towards getting things done. The finalists for this year’s Australian Book Industry Awards (ABIA) have been announced and it’s looking good for Australian non-fiction reader and writers this year. The ABIA awards are voted on by booksellers and publishers, rather than literary panels, so rather than focusing on high-brow fiction these awards instead highlight what publishers and bookshops find that readers can’t get enough of. Real life reads have no shortage of sales but they often get left out in the cold when it’s time to give out writing prizes and awards. Not so with the ABIA awards; not only are two categories out of seven exclusively for non-fiction reads (biography of the year and a general non-fiction category) but plenty of non-fiction has made its way into lists where you would normally expect fiction to reign supreme. The Book of the Year for Older Children (age 8 to 14 years), has one such hat-tip to real-life reading in its listing of Lonely Planet’s lively Travel Book, Not For Parents Edition. The book of the year category also has a non-fiction offering in William McInnes & Sarah Watt’s memoir, Worse Things Happen At Sea, a celebration (and occasional commiseration) of Australian day to day family life, which is listed alongside such fiction feasts as Caleb’s Crossing and Foal’s Bread. Non-fiction is also well-represented in the newcomer of the year (debut writer) category, with 3 of 5 of the new writers penning memoirs. Two of those books, A Private Life by Michael Kirby and Life Without Limits (written by Australian-born Nick Vujicic who hasn’t left being born without arms or legs get in his way becoming an international inspirational speaker) have also nominated for biography of the year. How-to writing also gets a shout-out in the form of a nomination for container-gardening guide The Little Veggie Patch Co, which I suspect will shortly be responsible for yet another pile of dead pot-plants on my balcony. The nominess for Biography of the Year will also delight fans of sports-writing with 2 of the 5 finalists, Darren Lockyer by Darren Lockyer & Dan Koch and The Long Road to Paris by Cadel Evans, jostling for first place. Hazel Rowley’s fascinating Franklin and Eleanor rounds out the list of biographies to five. There’s plenty there to keep even the most avid booklover reading but if you only have the time to devote to the pick of the crop, the various winners will be announced on May 18 as part of the 2012 Sydney Writers’ Festival. The Easter weekend is drawing to a close and whatever way you like to celebrate your holidays I hope you had a good one; full of chocolate eggs and cute bunnies (if that’s your thing) and plenty of time to read brilliant books (because that’s everyone’s thing, right?). I was lucky enough to spend my long weekend in various locations in sunny Queensland, including Townsville and Magnetic Island. It might be autumn but that far north the sun is still packing plenty of punch, especially for someone who is blessed with the easy-burning Irish complexion. The mornings in coastal Queensland are clear and bright, and the evenings deliciously balmy, but the heat at height of midday makes it too darn hot to do anything other than curl up in a patch of shade and settle down for a few hours of reading. Which is my excuse for loving the ritual of reading every afternoon while on holiday and I am sticking to it. By filling our mornings with swimming, and our late-afternoons and evenings with meals and socialising (and, for me, one of the few activities that can’t be improved by reading – a bit of horse-riding) we all had plenty of time to get stuck into our books. With a few hours in the shade to spare each day, I managed to polish off Elizabeth Hayne’s excellent but terrifying psychological thriller Into the Darkest Corner without giving myself the total heebie-jeebies. I do like to chomp through horror and suspense while away somewhere sunny as opposed to reading while home alone as the bright sunshine tends to ward off the horrors that a well-written thriller can bring on. And if that doesn’t work you can always start reading a different book instead – after all, you’re on holiday! My travelling companions agreed, and we all took plenty of time out to catch up our books over the long weekend. One of them said that, for her, she finally knows she is on really on holiday when she has had the time to fall asleep while reading a book. Everyone has their own holiday reading rituals; I like to use the time to indulge in a feast of easy-to-read fiction, such as horror and YA but my partner prefers to catch up on serious and science reads he has been too busy to devote some brain-time to over the working week. I have one friend who uses a bit of time off as a opportunity to finally get through everything in their teetering pile of books bought but not yet read and another who likes to re-read their favourites while on holidays. Whatever the holiday reading ritual, there’s nothing more relaxing than having the time to settle down for an uninterrupted read. Here’s hoping the Easter weekend had a few hours to spare for reading for you, and if it was something you’d like to recommend please leave a note in the comments and let me know. With all the reading I finally got done this weekend, I’m on the look-out for books for the next holiday!